Dayton, TN — As election results streamed in last night, it soon became clear there are major changes coming to Rhea County government. It appears the majority of incumbents on our county commission have been unseated. As it currently stands (results are still unofficial), 5 out of 9 seats on the Rhea County Commission have changed. Of the 5 new commissioners are Harold Fisher who unseated Grover Parks, Jr in District 3 (Wolf Creek), Eddie Fransisco unseating Doyle Montgomery by one vote in District 6 (Morgantown) (193-192), Caroline Housley wins District 7 (Frazier) over current Rhea County Commission Chairman Ronnie Raper, Billy Davault wins District 9 (Walden’s Ridge) over Tracy Taylor, and Terry Broyles who won District 1 (Spring City) over incumbent Ron Masterson. George Thacker defeated well-known conservative June Griffin to remain Rhea County Executive for the next four years. Griffin is best known for being a stalwart champion of the Bill of Rights and a proponent of freedom. Surprising to most, Griffin garnered nearly 20% of all votes cast in the race. After a hard fought race for Rhea County’s Sessions Judge, Democratic candidate Shannon Garrison wins a nailbiter over Republican Carol Ann Barron by 53 votes out of a total of 6,353 votes. Independent candidate Larry Roddy received nearly 17% with 1076 votes. Garrison will take over for Judge Jimmy McKenzie who has held the position since 1998. Conservative candidate , Justin Angel from Bledsoe County handily beat democrat Steve Blount, an Assistant District Attorney from Franklin County, in Circuit Court Judge race for the 12th Judicial District. Angel will oversee cases in Rhea, Bledsoe, Sequatchie, Marion, Grundy, and Franklin counties. The seat became open when long-time judge Buddy Perry chose not to seek re-election. There will be no change at the Rhea County Circuit Clerk’s office as Democrat incumbent Jamie Holloway (60.37% – 3746 votes) wins race over Republican challenger Pam Peavyhouse (39.63% – 2459 votes). Eleven votes decided the winner of 3rd District School Board Race between incumbant Perry Massengill and challenger Jim Monday. Massengill gets the nod from voters in a close one with 378 votes. When school board member Billy Davault decided to run for county commissioner, it opened up the District 9 seat on the school board. Danny Prior took the seat with 308 votes to Andy Beene’s 234 votes. There were 4 candidates vying for the 2 seats which were up for grabs on the Spring City Commission. Bradley Collins received 223 votes which was the most of all candidates. Collins will replace commissioner Terry Smith who chose not to seek re-election. Sitting Spring City Commissioner, Reba Murphy received the 2nd most with 199 votes which is enough to keep her seat on the commission. Woody Evans and Jeff “Bimbo” Rhear came up short in this year’s race with 158 and 108 votes respectively. State Representative Ron Travis was able to hold off former State Representative Jim Cobb for the Republican nomination for House District 31 which is made up of Rhea, Bledsoe, Sequatchie, and the southern part of Roane Counties. Cobb served as Rhea County’s State Representative from 2006-2012 and served as chairman of the powerful Government Operations committee in his last two years in the state legislature. Travis will go unopposed in the November General Election having no democratic challenger. 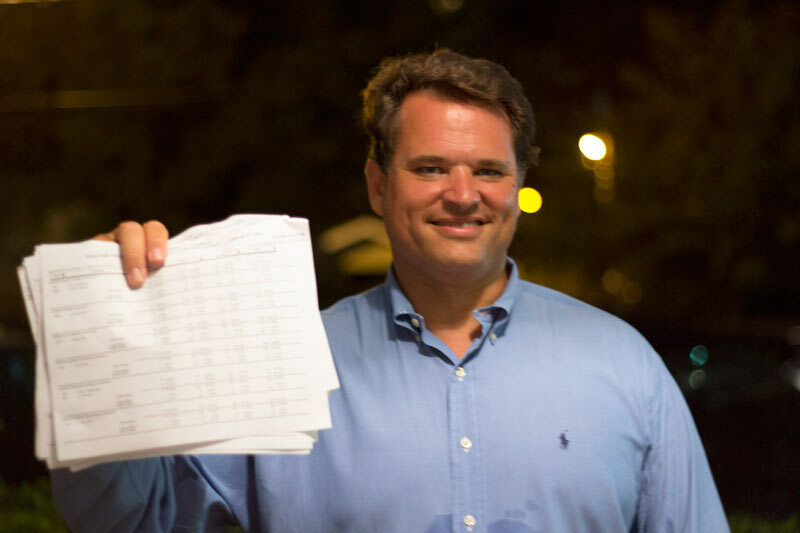 Cobb fought off a challenger of his own in the Republican State Executive Committeeman race against Mickey Barger of Rockwood in the 12th Senate District. Each party has a committeeman and committeewoman who coordinates activities between the state and local parties. Sitting Republican State Executive Committewoman Liz Holloway (Rockwood) held on to her seat over challenger Judy Cooley. It was no contest in the Republican primary as Governor Bill Haslam took over 87% of the vote. Haslam will face democratic challenger Charles “Charlie” Brown in the upcoming General Election set for November 4th. State Supreme Court Justices got a reprieve, but not by the governor. Voters in Tenessee elected to retain the 3 supreme court justices after a heated campaign by conservatives to have them ousted. Tennessee is the only state in the nation that allows their Supreme Court to appoint the attorney general. The biggest surprise and closest race of last night’s election has to be the winner of the 4th U.S. House District. Known to have one of the most conservative voting records in congress, incumbent Scott DesJarlais (South Pittsburg) holds off challenger Jim Tracy (Shelbyville) by a mere 35 votes. Supported by the TN GOP establishment, Tracy’s campaign war chest shadowed DesJarlais’ contributions by over $1 million. It is also rumored that GOP establishment had Tracy in mind as they carved the new congressional district in 2012. According to the Tennessean, Tracy declared victory in the Republican primary for the 4th Congressional District earlier in the evening, but late returns from Grundy County, a rural district close to DesJarlais’ home, appeared to push the incumbent over the top. “We’re glad that the voters chose to judge the congressman on his record in Washington, rather than the disgusting, disingenuous smear tactics propogated by Sen. Tracy’s campaign,” said Robert Jameson, a DesJarlais spokeman. The winner takes on Monteagle accountant Lenda Sherrell, the only Democrat in the race, and Signal Mountain engineer Robert Rankin Doggart, an independent. Lamar Alexander easily won the Republican nomination for US Senate. Alexander will face off against Democrat Gordon Ball in November. These results are unofficial until they are certified by the county and then by the state. The Rhea County Election commission is set to certify results in their next meeting on August 21, at 1pm. This meeting will be open to the public as they review provisional ballots. What are provisional ballots you ask? Provisional ballot is taken when a voter doesn’t show on the state rolls or if the voter didn’t bring their ID. No vote is refused but a provisional ballot is cast and held for further review by the state. Rhea County Deputy of Elections, Felica Mills, says they currently have 7 provisional ballots to be reviewed. Click here for full Rhea County Election results. Updated 1:34pm, August 8, 2014 to include Spring City Municipal and Rhea County School Board. Updated 12:46pm, August 8, 2014 to include information on the Rhea County Executive race. Ron Travis didn’t “hold off” Jim Cobb…he won by a HUGE margin by getting 65% of the votes! Congrats Ron…the very best man for the job!